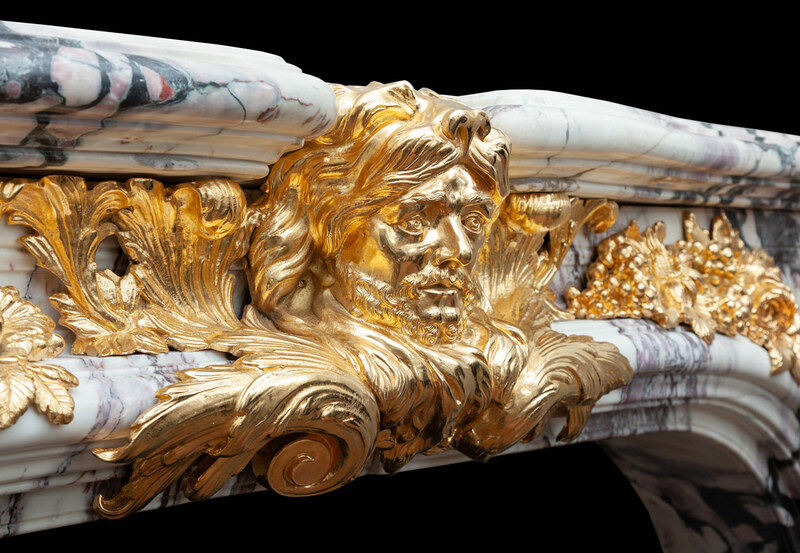 After a design by François Antoine Vassé (1681-1736) for the Salon d’Hercule of the Palace of Versailles, France. 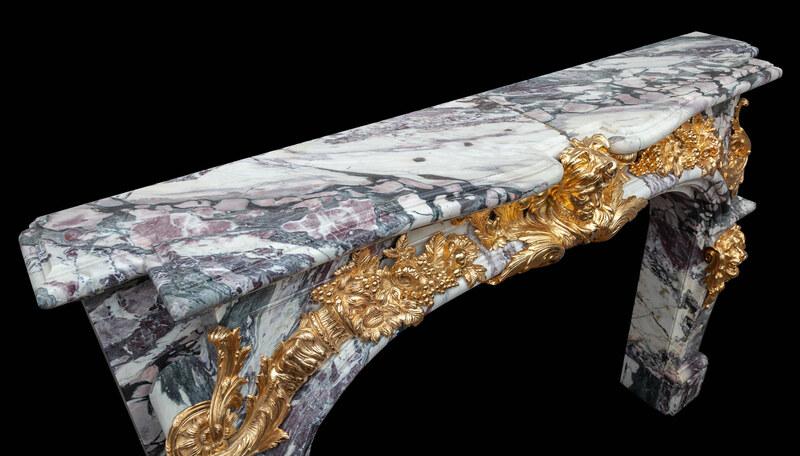 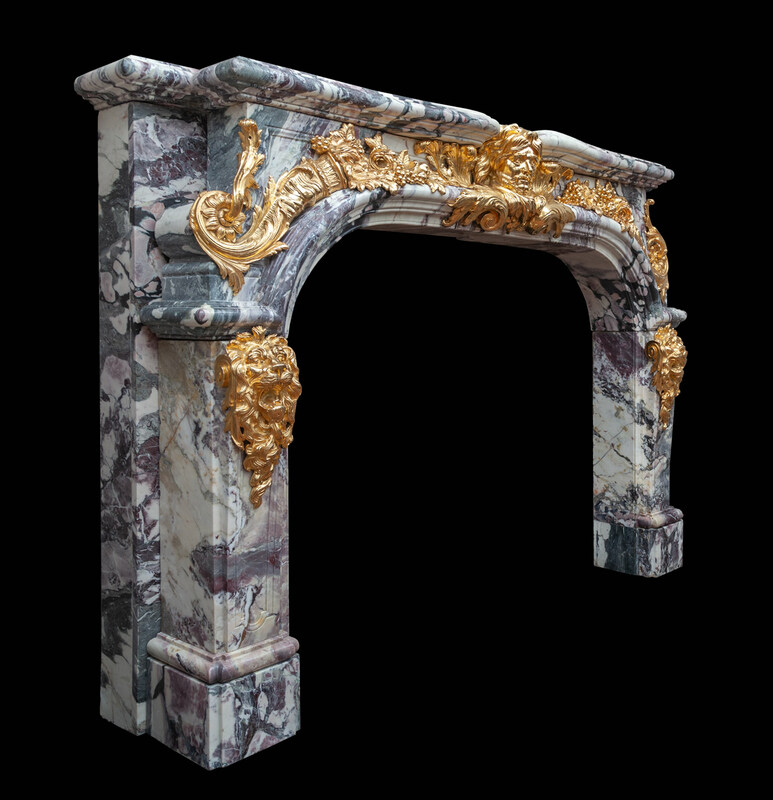 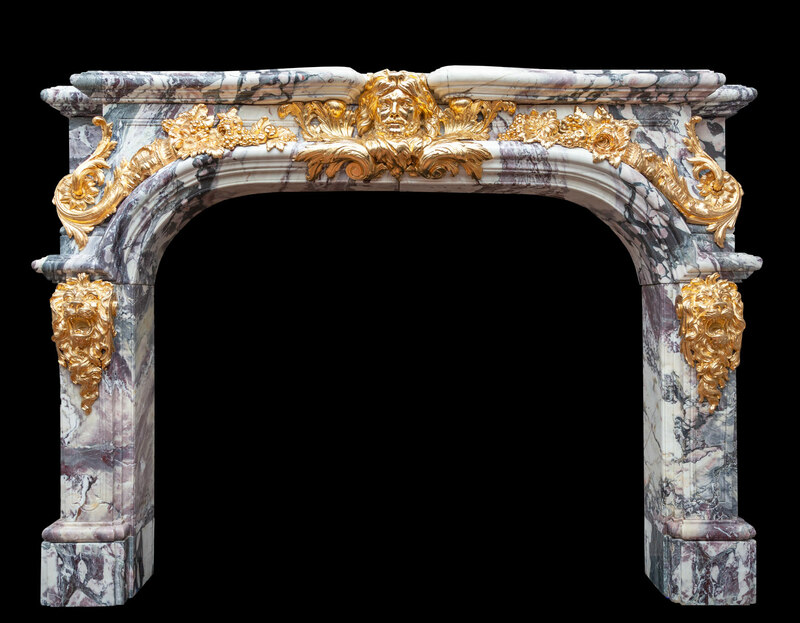 Made from the finest and richest coloured Breccia Violleta marble with superbly cast 24 carat gold-gilt bronze mounts. 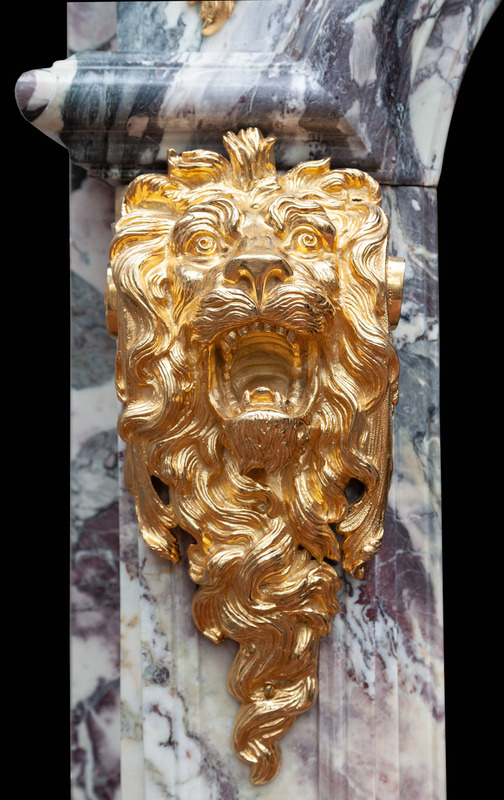 The solid marble jambs with gilt-bronze Nemean Lion masks at the top, these are under an arched frieze with a gilt-bronze centre cartouche depicting the mask of Hercules wearing the Nemean lion pelt. 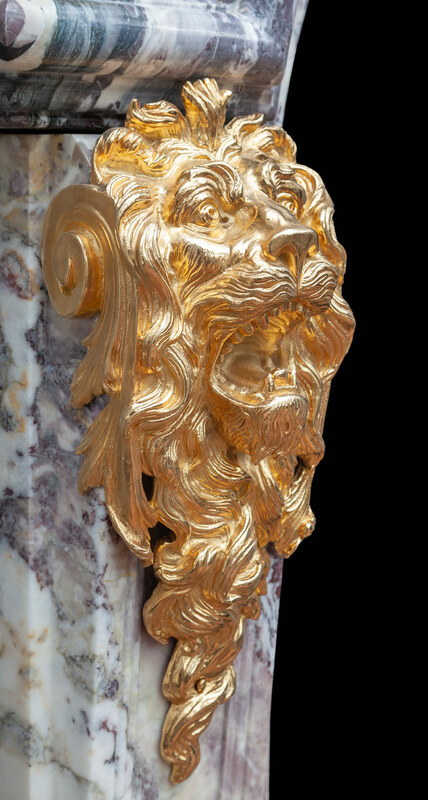 Flanking Hercules are extremely well sculpted and flamboyant gilt-bronze cornucopias, also called the horn of plenty, a symbol of abundance and nourishment. 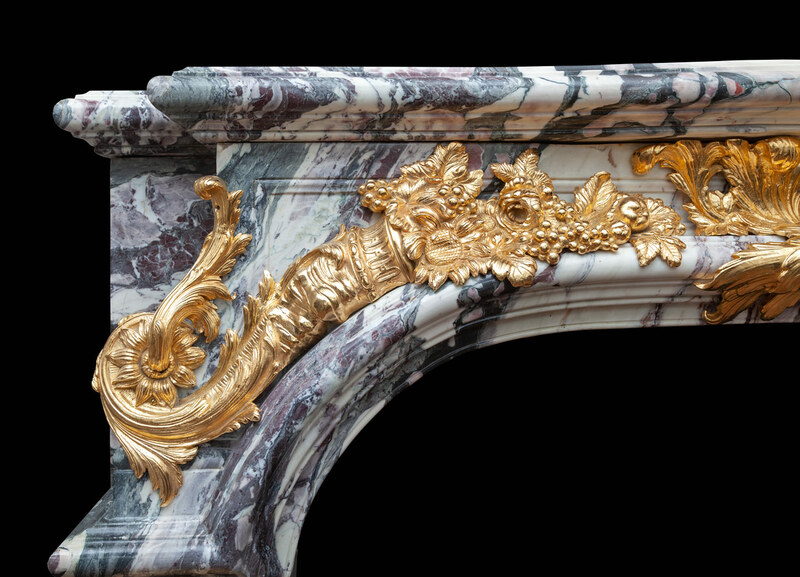 Beginning in 1724, work on the salon d’Hercule recommenced. 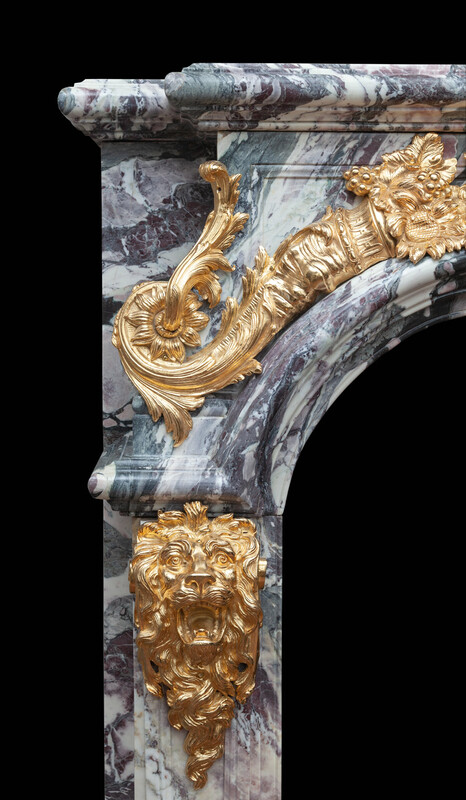 Louis XIV commissioned architect Jacques Gabriel, marbrier Claude-Felix Tarle and sculptors Jacques Verberckt and Francois Antoine Vasse to complete the room. 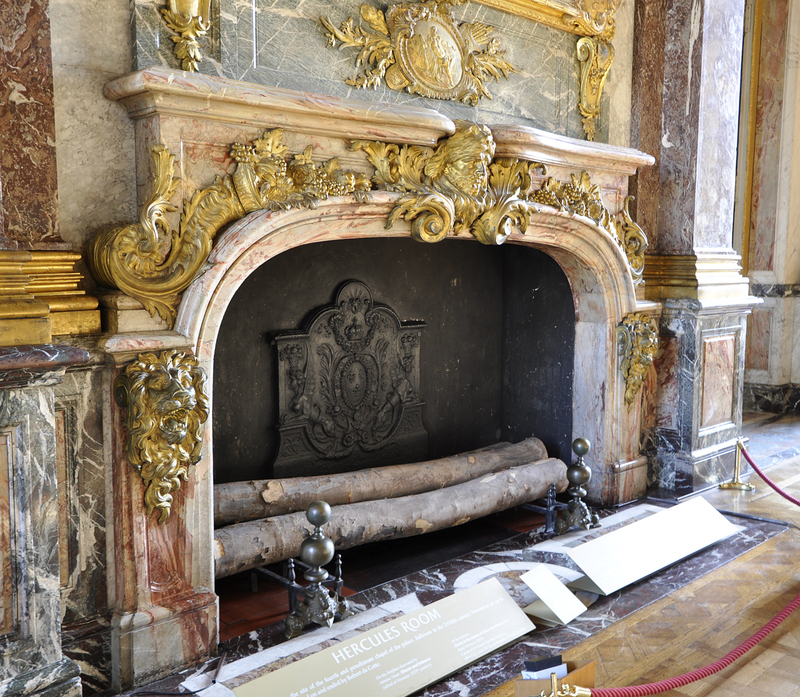 The room was completed in 1736 with the ceiling painting Apothéose d’Hercule (Apotheosis of Hercules) by Francois Le Moyne, which help give the room its present name.